Hardwearing Kånken backpack with a padded compartment for a laptop computer. Made from durable G-1000 HeavyDuty with leather details. 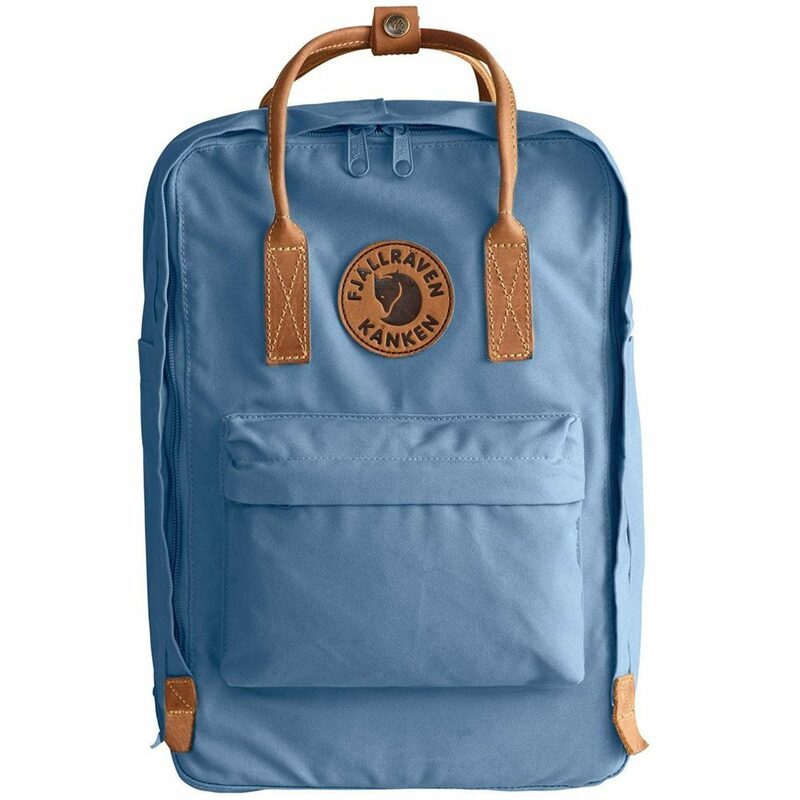 Just like the original model, it is an everyday backpack with excellent longevity that is just as practical to use for school or work as on an outing or when traveling. The main compartment has a generous opening that makes it easy to pack and unpack. A separate, padded compartment with a zipper provides safe storage for a laptop computer (up to 15”). Inside the backpack there is a back pocket with a padded seat pad in G-1000 HeavyDuty – easy to take out when you need to take a break. In addition, there are two open pockets on the sides and a zippered pocket on the front. Details and handles in leather, and padded shoulder straps for extra comfort when carrying a heavy load. Impregnation can be easily enhanced with Greenland Wax, something that also further increases durability.